Accounts receivable automation is now changing the way companies complete their accounting processes and helping to save thousands of dollars in labour and administrative costs. But many business leaders still don’t see the clear value that accounts receivable automation can bring to their company in the long term. And so, to help guide you in selling automation to skeptics within your organization, we’re highlighting the many benefits automation can bring to your operations. Often, the best way to initially convert a stakeholder about the value of a product is not promoting the product directly but showing the potential damage of not using the product. There is a clear danger to organizations that stall on the process of implementing automation within their accounts receivable department. One danger is the damage associated with overspending on labour costs. 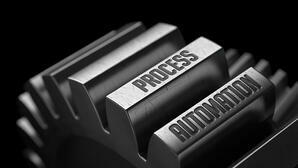 For example, the latest data shows that 90% of manual invoice processing costs stems from labour. How would your organization benefit if you could maintain a better connection with your customers? That is a key question to consider when selling accounts receivable automation to your stakeholders. By giving customers the chance to see, dispute, and pay invoices online with an automated tool, you can give your customers a sense of control over the process. That can help you to build a relationship with qualified customers and ensure that you are serving them effectively over the long term. Days sales outstanding (DSO) is a key consideration for any organization. It’s the average number of days it takes for invoices to be paid. The lower the DSO figure for your company, the better your company’s cash-on-hand will become over time. One great way to introduce automation to potential skeptics is to show them the value that the technology has in reducing your DSO figure. Because automation helps streamline the invoicing and payment processes, your company will have a stronger cash flow. That gives your decision-makers better options when it comes to improving the company and allows the company to respond more adeptly with a stronger resource-backing to emerging trends, both within the company and industry-wide. Achieving a clear understanding of the current status of the company and its accounting position is critical to operational success in the long term. Make sure that you help to change the mind of your automation skeptics by showcasing the level of visibility that accounts receivable automation can bring to your company and its staff. By streamlining the administrative elements of the receivables process and bringing more query-able data into the system, you can make better sense of the trends and determine which areas need to be improved. Our trusted team is here to help you understand and promote the benefits of accounts receivable automation. We offer access to the leading automation tools and technology and can guide you in choosing the right option for your organization and its operational objectives. To learn more about our company, contact us today.